The player did not get much time to showcase his prowess in New Zealand. Team India is warming up nicely for the much-awaited ICC World Cup in England and Wales. The way the Men in Blue performed in Australia and New Zealand, they made it crystal clear they will be the team to beat come this summer. The Virat Kohli-led side beat Australia 2-1 to register their first-ever bilateral ODI series win on Australian soil. A few days later, they thrashed the Kiwis 4-1 to register just their second ODI series win in the country. And it would not be wrong to say that MS Dhoni’s form was one of the biggest positives for Team India from the series. The former India skipper had endured a terrible 2018 with the bat but has started 2019 with a bang. He scored three consecutive fifties against Australia, finishing the series as the top-scorer to bag the Man of the Series Award. He did not get much time to showcase his batting prowess in New Zealand but impressed with an unbeaten 48-run knock in the second ODI. He looked in good touch during the T20Is too, top-scoring for the visitors in the series opener. With Dhoni totally repaying the faith shown in him by the team management and the selectors, chief selector MSK Prasad is a happy man. The former India wicketkeeper praised Dhoni for his displays in Australia and New Zealand before saying that the upcoming Indian Premier League will help the veteran remain in form. “Also, importantly, before India head to the World Cup, he will be playing the IPL. So he will be playing in 14-16 matches – all high-intensity games. That will only help him extend that form he has caught on the Australia and New Zealand tours. I am very happy with his batting,” he added. 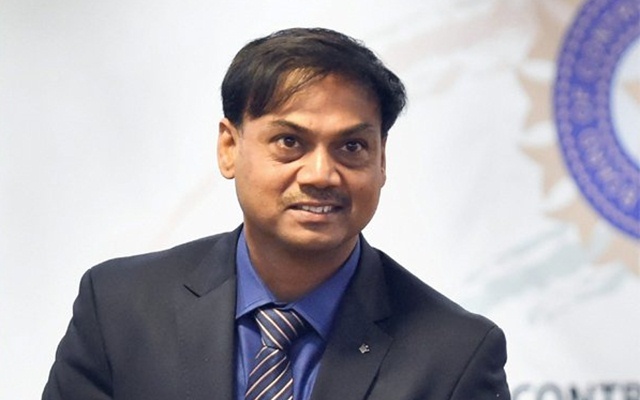 Buoyed by Dhoni’s recent displays, Prasad went on to claim that the 37-year old will be the most important player for the team in the World Cup. “He is going to be the most important guy for India in the World Cup: be it in his advisory role to Virat, be it with his wicketkeeping, be it with is on-field mentoring of young players,” Prasad said. “There are two aspects about Dhoni: one is his wicketkeeping and the other is his batting. We have never had any doubts about his wicketkeeping. With regards to his batting, we were a bit worried about his form. But we also knew that if he played more, he would regain his form, and that is part of the any player’s career – there are dips in form and performances,” he added.